In conclusion, plasma ceramides are a promising new clinical diagnostic for the identification of patients at risk of adverse cardiovascular events. Testing for plasma ceramides is available to Mayo Clinic patients and health care providers worldwide through Mayo Clinic Laboratories, the reference laboratory of Mayo Clinic. The lab offers advanced laboratory testing and pathology services to more than 4,000 health care organizations in more than 70 countries. Jeff Meeusen, Ph.D., is a clinical chemist and Co-Director of Cardiovascular Laboratory Medicine at Mayo Clinic, Rochester, Minnesota. Robin Patel, M.D., Chair of the Division of Clinical Microbiology in the Department of Laboratory Medicine and Pathology, has been appointed to the council of the National Institute of Allergy and Infectious Diseases (NIAID). She will serve a four-year term. The council will advise, assist, consult with, and make recommendations to the Secretary of Health and Human Services and the Director of the National Institutes of Health on matters related to immunology, immunologic and allergic diseases, microbiology and infectious diseases, virology, epidemiology, tropical diseases, sexually transmitted diseases, AIDS, and biodefense research. The advisory council will also review and make recommendations regarding grant applications to support biomedical research and research training activities. In mid-1948, the National Institute of Health became the National Institutes of Health (NIH) with the creation of several individual institutes. Later that year, the Rocky Mountain Laboratory and the Biologics Control Laboratory joined the NIH Division of Infectious Diseases and Division of Tropical Diseases to form the National Microbiological Institute. In 1955, Congress changed the name of the National Microbiological Institute to the National Institute of Allergy and Infectious Diseases to reflect the inclusion of allergy and immunologic research. 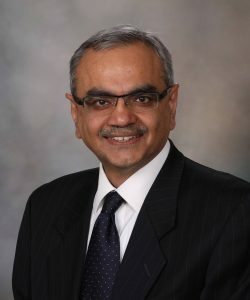 In addition to serving as chair of Mayo Clinic’s Division of Clinical Microbiology, Dr. Patel also holds a number of leadership roles including serving as director of the Infectious Diseases Research Laboratory. This article was originally published on Insights, the online news publication of Mayo Medical Laboratories. The full article is available in INSIGHTS – the online magazine published by Mayo Medical Laboratories. 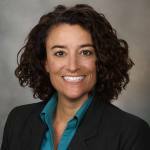 A recent Mayo Clinic study has found that many U.S. health care providers are habitually ordering a mostly unnecessary and quite expensive genetic test to identify a patient’s hereditary risk of venous thromboembolism (VTE). Further, if other institutions followed Mayo’s VTE test utilization example, there is significant potential to reduce costs and economic impact in this area of clinical pathology. 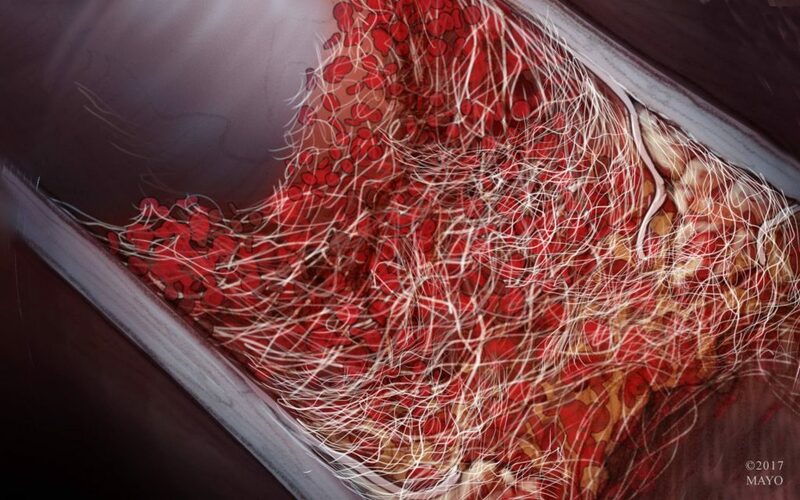 Venous thromboembolism is a potentially life-threatening condition when, for example, a blood clot occurs in the leg veins and moves to the lungs. Clotting can also locate in other veins of the body. 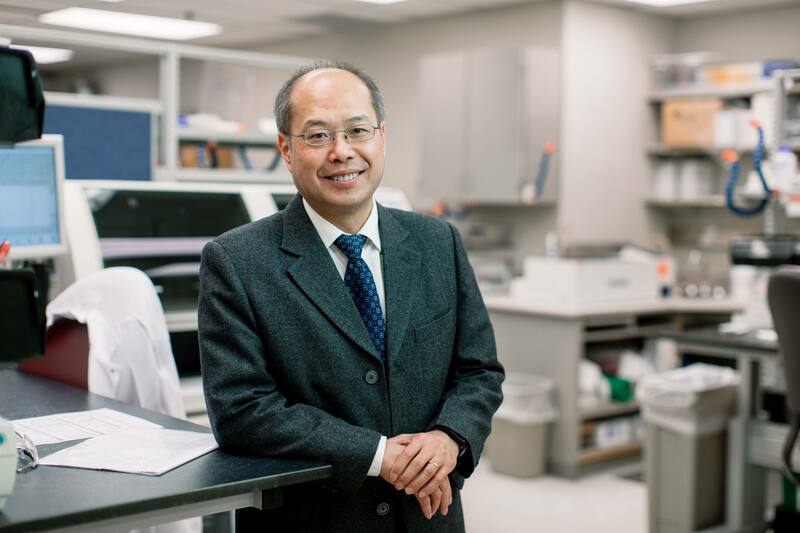 The study demonstrates that the costly genetic test, which detects the condition called activated protein C resistance (or APC-R) due to the mutation factor V Leiden (FVL), was not needed in approximately 80 percent of cases studied. Factor V Leiden, a mutated form of the protein human factor V, causes an increase in blood clotting. The variant can be found in both men and women. Typically, for VTE, there are two tests health care providers can order: the APC-R assay, which is a more inexpensive functional test preferred by Mayo Clinic, or the FVL genetic test, which is about twice as expensive as the APC-R assay. To analyze ordering patterns on a national scope, the study team partnered with OptumLabs Data Warehouse, a database of de-identified, linked clinical and administrative claims information, to gain access to more than 19 million tested patients. Insurance claims for these two test methods were compared (for calendar year 2013) with the Mayo Clinic Special Coagulation Laboratory database. The Centers for Medicare and Medicaid Services Clinical Laboratory Fee Schedule was then used to assign costs. Findings revealed that physicians at other institutions were ordering the Factor V Leiden test much more often, as the only test, which contradicts how it’s long been done at Mayo. The cost savings comes from ordering the APC-R test first. A negative result in this functional test means there is essentially no possibility the condition exists—in which case the more expensive genetic test would, indeed, be highly unnecessary. Looking at the OptumLabs data for 74,242 tested individuals, 90.1 percent of them received only FVL genotyping, compared to a mere 2.9 percent who received only the APC-R profile. And 7 percent of patients received both. (The data did not show why each test was ordered, nor tell how many were duplicates.) Conversely, at Mayo’s Special Coagulation Laboratory, of the 1,317 tests performed in 2013, only 4.6 percent of patients were tested for FVL, while 95.4 percent of patients received the APC-R assay. Based on this comparison, the cost-per-evaluated individual was $83.77 in the national data from OptumLabs and only $36.38 at Mayo Clinic, with a potential cost savings of $47.39 per individual. Besides lowering costs, reliance on the APC-R profile also reflects best practice, according to Dr. Pruthi. “Value-based medicine is an important part of health care moving forward, and we want to show that, ‘Look, we’re doing it right. We’re providing high-quality patient care in a cost-effective way,’” he says. If using the APC-R functional assay is much less costly and more efficient, why are so many institutions doing otherwise? One reason is that clinicians may get confused or overwhelmed by the many tests to choose from on a lab’s electronic ordering portal. Thus, some patients are given the wrong test altogether. And even if a clinician chooses the correct test, it might not be the least expensive option. Further, the chosen laboratory may not be equipped to handle it and has to send it to another reference laboratory. Dong Chen, M.D., Ph.D., chair of Mayo’s Division of Hematopathology, also co-authored the paper. He agrees that educating physicians about “the pros and cons” of each test would help them order the correct ones. Unfortunately, such an undertaking leans toward a pipe dream. To facilitate test compliance, the Mayo Clinic Special Coagulation and Molecular Hematology Laboratories have simplified the test-ordering process and made it straightforward for clients, which saves them precious time for more urgent matters. The way in which a lab presents its ordering menu and, in turn, the way health providers perceive it, is key in tackling the cost-effectiveness issue. The study recommends that laboratories program their electronic ordering menus and defaults to assist the provider in choosing the right test and help reduce duplicate orders. Laboratories should take a proactive approach in implementing testing utilization, rather than asking clinicians to make testing decisions on their own. Mayo’s highly integrated practice makes this proactive approach easier than it would be at, for example, a private practice. So, how can laboratories and institutions that do not have Mayo’s integrated clinical and laboratory expertise reduce unnecessary costs and improve efficiency? By cultivating more cooperation and open communication among references labs and the providers doing the ordering. This piece was written by Christoph Bahn, who covers emerging research and discovery for Mayo Medical Laboratories. His writing has also appeared in The New York Times, Los Angeles Times, and Smithsonian Air & Space.